to run 21st century warehouse operations. WMS and is loved by our clients. navigate compared to most WMS software. The basic steps of this warehouse management system software are easy to learn and use. The support team is quick to respond. Rapidly check-in product with barcode scanner (or barcode scanner app on smart-devices) and designate storage locations with the press of a button. 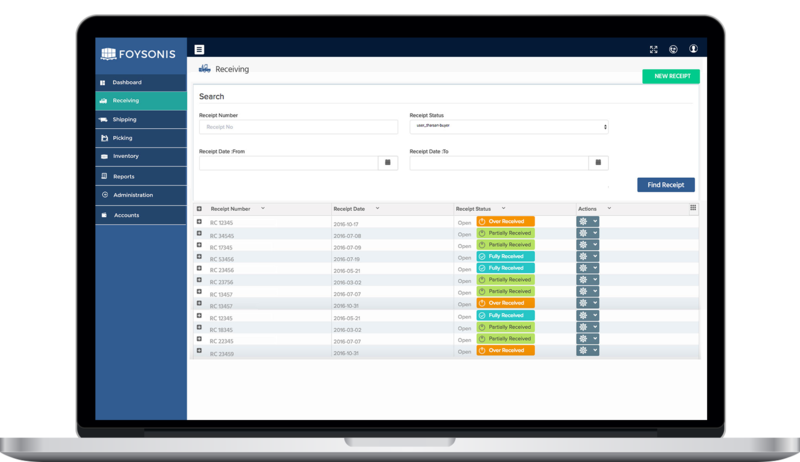 Use algorithms to assess best storage locations or input your own user-directed location for storing items. .
Track expected receipts against actual inventory received. Empower warehouse operation managers to fulfill orders with speed and accuracy. Our WMS allows users to rapidly enter customer orders, allocate inventory for picks, and allowing warehouse users for faster packing and shipping times for shipping via LTL, TL, or parcel carriers. 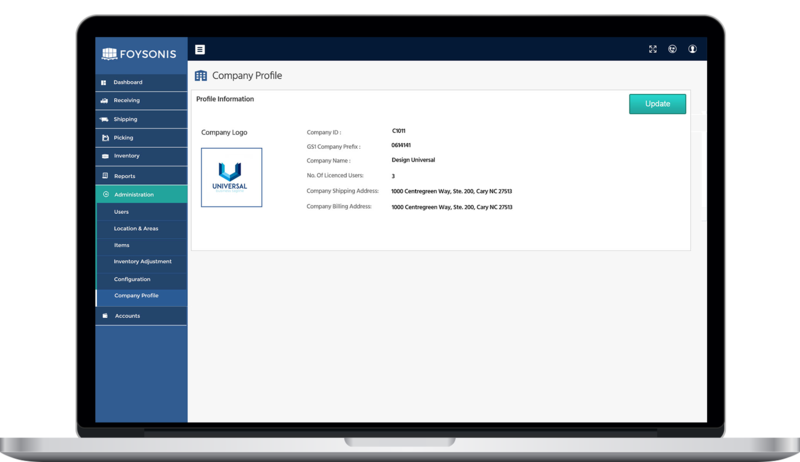 Users can also print all standard shipping paperwork (such as BOL, packing slips, etc.) on the fly. Dramatically cut down on the travel time of your warehouse associates. 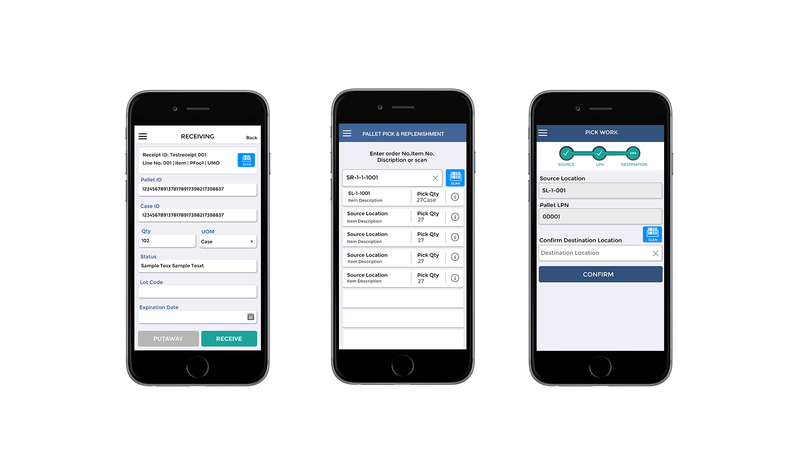 The easy-to-use picking module allows users to map out the most efficient picking sequence for their orders, reducing travel time and greatly improving overall productivity. 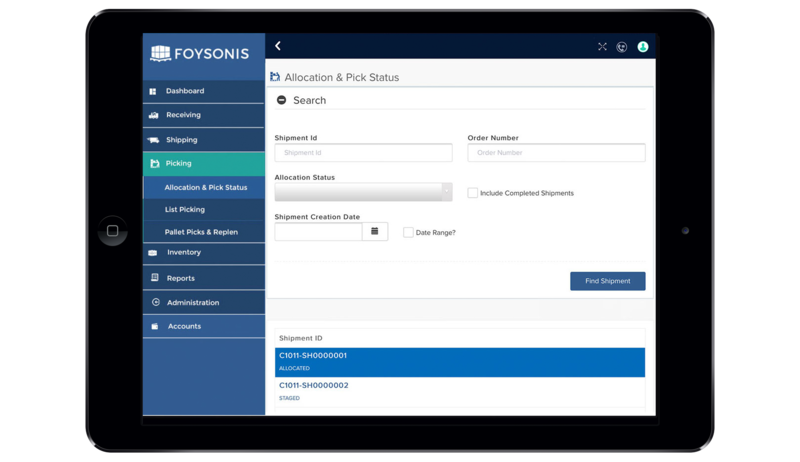 Any great warehouse operation need accurate maintenance of inventory data and Foysonis help customers to do that with our user friendly inventory and item module. The item information is utilized to capture the attributes of an individual SKU's property in a warehouse. 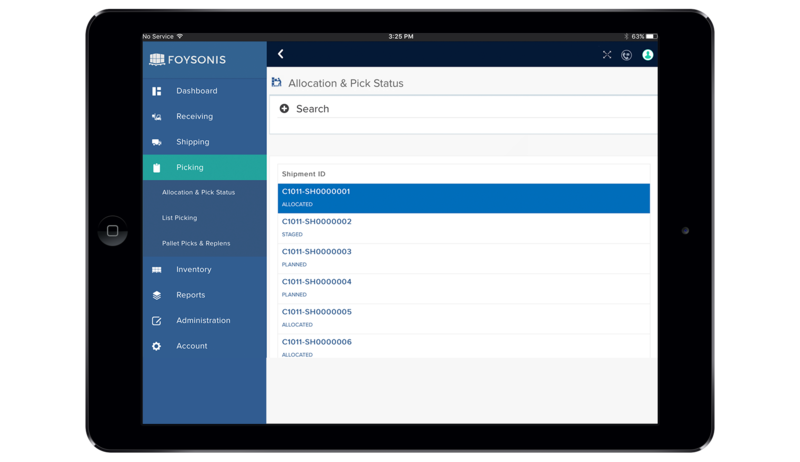 Once the item is setup, user could receive and create inventory into the warehouse. 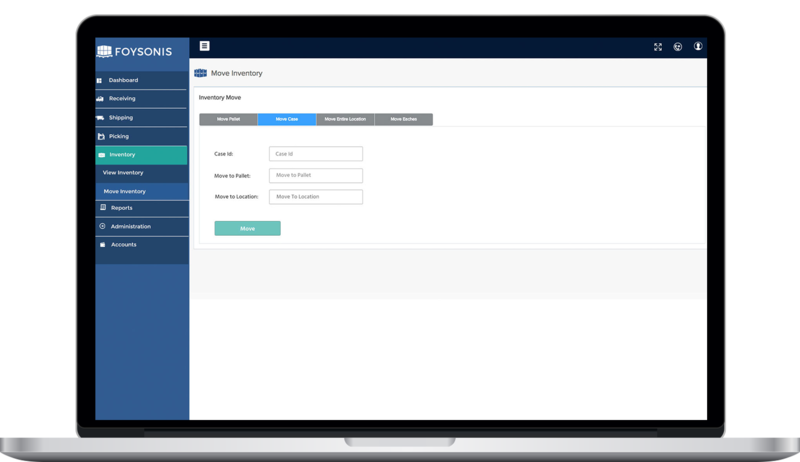 Inventory can be adjusted and also moved around in the warehouse using this module. Maintain items with multiple Units of Measure like eaches, cases and pallets. Easily import item lists in CSV format. 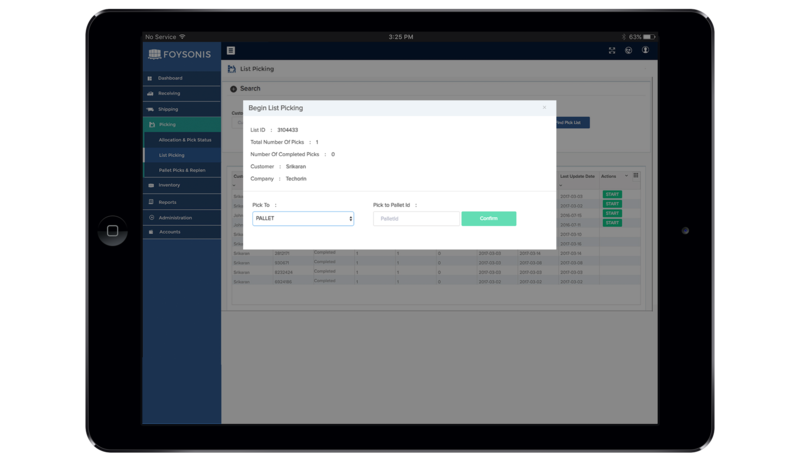 As your operation grows, the Foysonis cloud infrastructure scales in computational power to handle the expanding workload. No longer will you need to worry about capacity planning or updating hardware to handle an increase in volume. Foysonis will grow organically with your developing business. Automatic data backup across different regions for instant recovery. If you want to build new products using components in your warehouse, our kitting module will let you perform inventory allocation to build the new product, manage the work, track the progress of the users doing the work throughout the kit building process. 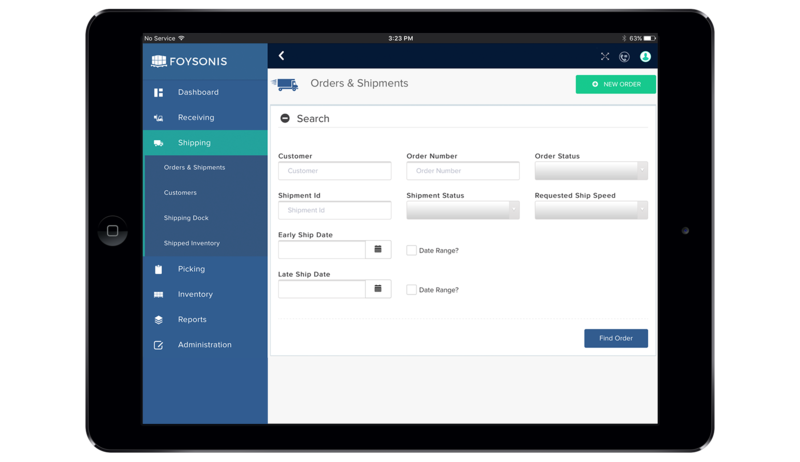 Foysonis offers a real-time view of all warehouse operations. 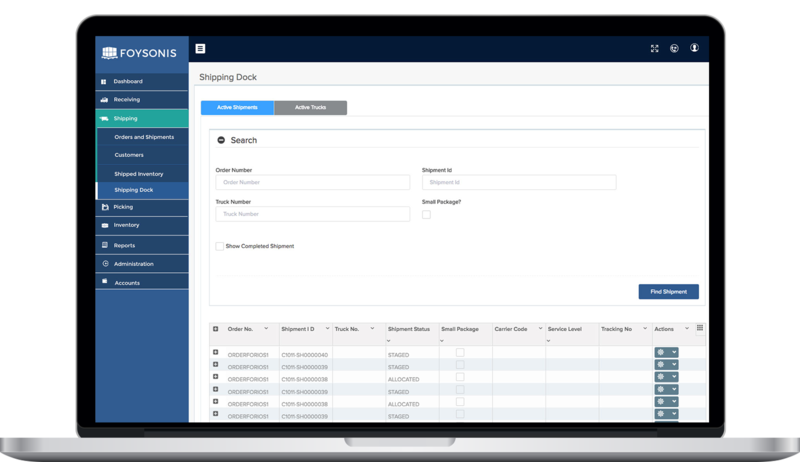 A dynamic, easily navigable dashboard gives managers a quick overview of all warehouse activities such as receiving, order fulfilment, picking, and shipping. The data is represented in easy-to-understand interactive charts and graphics that provide an incredibly accurate view of metrics and KPI. 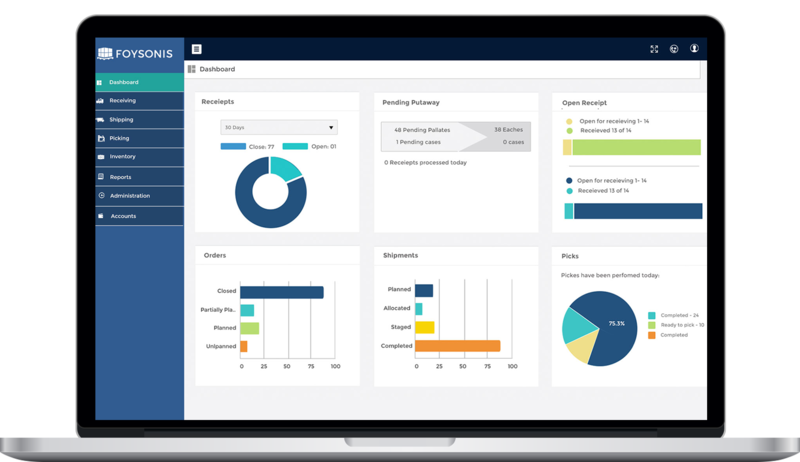 Track data with dynamic charts and graphics that are easy to use and understand. 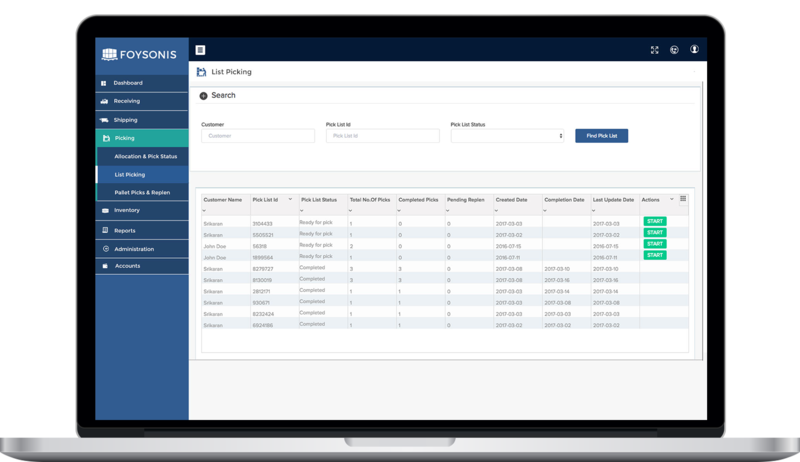 Complete solution for 3PL companies to manage the inventory of their customers , provid complete visibility with secured access and bill accurately for each activity within your warehouse operation.